Part II: Australian Law Schools after Pearce – a case study in educating critical, theoretical and ethical lawyers? 9. What’s a Lawyer doing in a nice place like this? 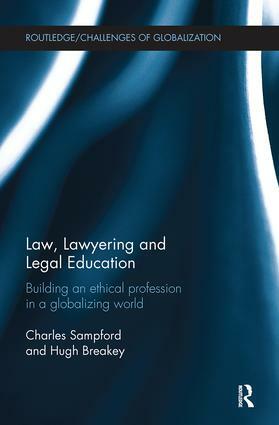 Charles Sampford is the Foundation Dean of Law at Griffith University, Australia, (a law school which achieved a top 50 world ranking within 20 years) who has led a range of national and global research centres and currently directs the multi-university Institute of Ethics, Governance and Law. Hugh Breakey is a Research Fellow at Griffith University’s Institute for Ethics, Governance and Law, Australia, and President of the Australian Association for Professional and Applied Ethics.